The Odyssey Innovative Design FZSLDC1 Flight Zone Light Duty Utility Case is a black case made of ABS plastic laminate over 3/8" plywood, designed to ship, carry and protect assorted lighting fixtures or other lightweight gear. The case has steel hardware, chrome-plated butterfly latches and recessed, spring-loaded handles. The case also has steel corners, aluminum edging and rubber feet. 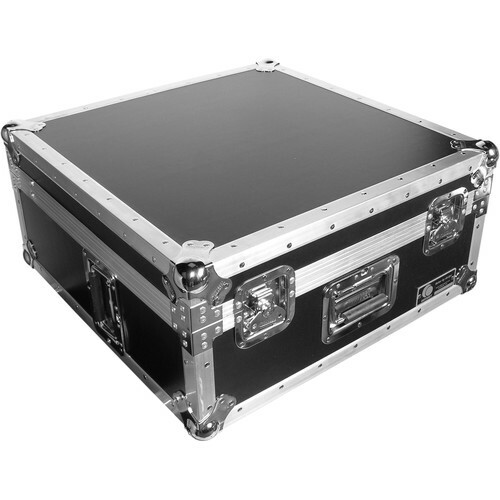 Meets ATA 300 specifications for shipping cases. Note: Please use protective bags or foam when transporting two or more units in one case, to prevent damage.